Set of James Duff traction bars. Used, but I never installed them on my truck. All hardware included. For 28 spline axle. um.. I don't think anybody will buy something that's used for the same price as it is new. Actually it is a nickel more. Is that a joke? So you are selling a used part for more than you can buy it new? EDIT: Just checked my invoice from mine. I'll do $50 shipped. They look well used and if that's all that comes with it, it's missing hardware. damn Im pretty sure my shipping was $9 Idk where my invoice is, somewhere in the trash im sure. Hmm you're right I'm missing those u bolts for the axle mount. I didn't think about that. I should have it all around here so I will round the rest of it up or just buy some replacement hardware. I'll figure shipping tomorrow but you're pretty far from Kentucky so I might need to find a middle ground on price. I'm not sure what hardware is missing, I forgot you don't need u bolts because it mounts to the leaf spring bracket, so no hardware there. The bushings are mounted on the bar at both ends. Nuts and washers there too. 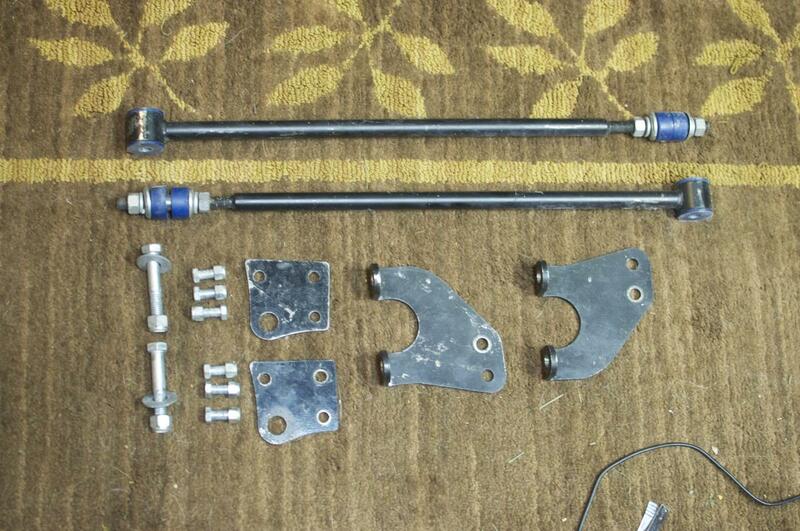 Three nuts and bolts per side for the frame end, and the long bolt on each side for the axle end. What am I missing?